A different show in Santorini and nothing like anything you ever saw! 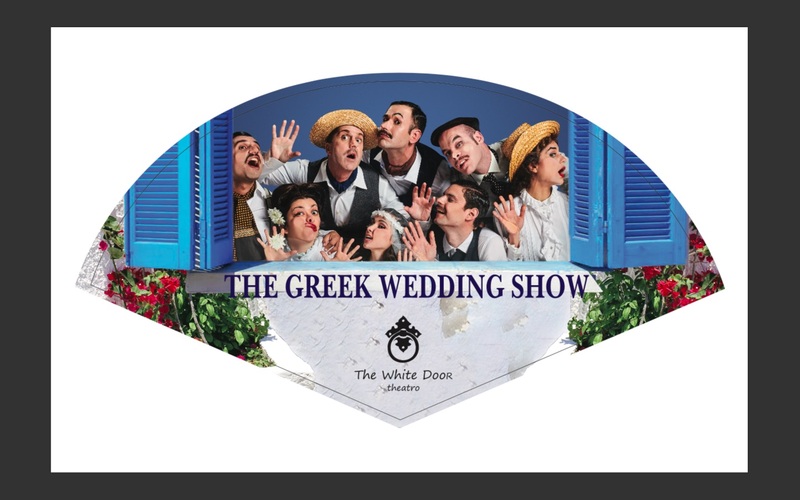 A unique Musical that engages couples, children, families and friends with the local culture in an entertaining way.The Greek Wedding Show is not only a “Greek night” but an interactive performance with actors, dancers, singers, musicians and you. 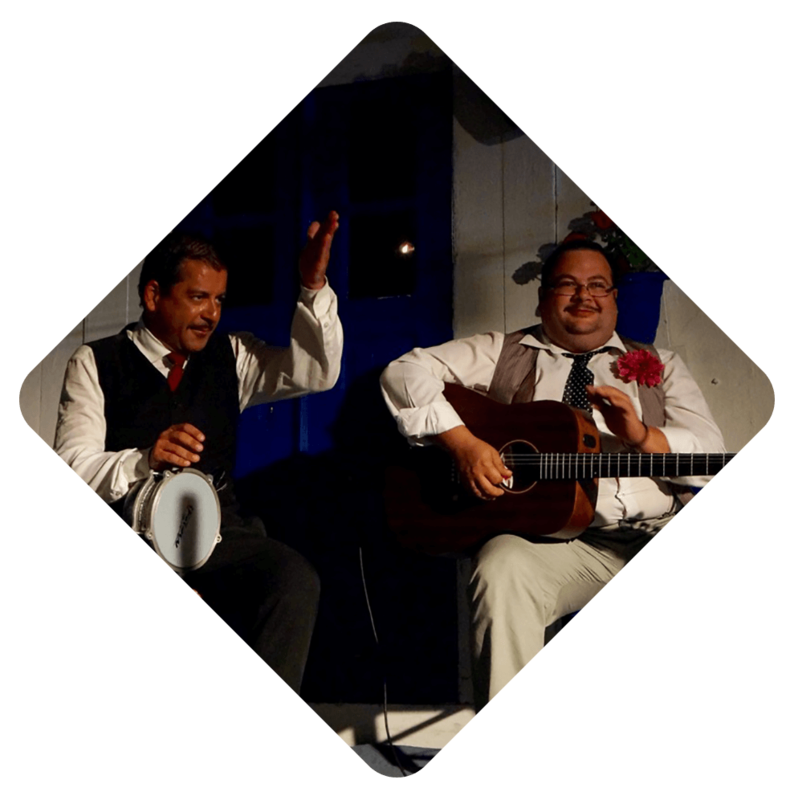 Celebrate the greek culture through the music and dance. Enjoy plenty of wine and the famous Greek mezedes. 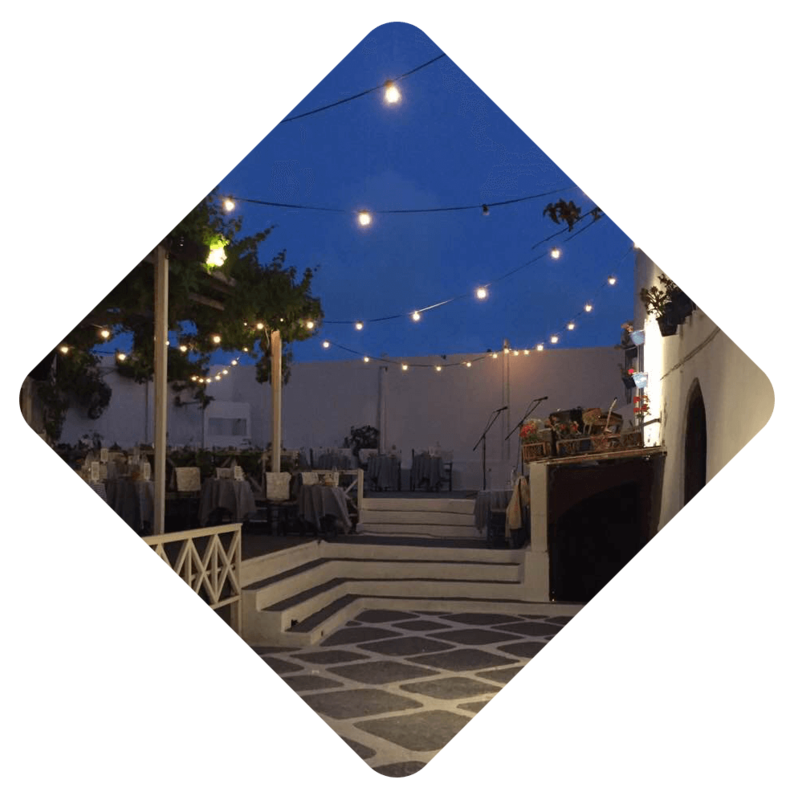 When the bride arrives, followed by musicians, you are invited to the reception at the outdoor patio where you will enjoy a selection of “Greek tapas”* reflecting the traditional cuisine of Santorini. 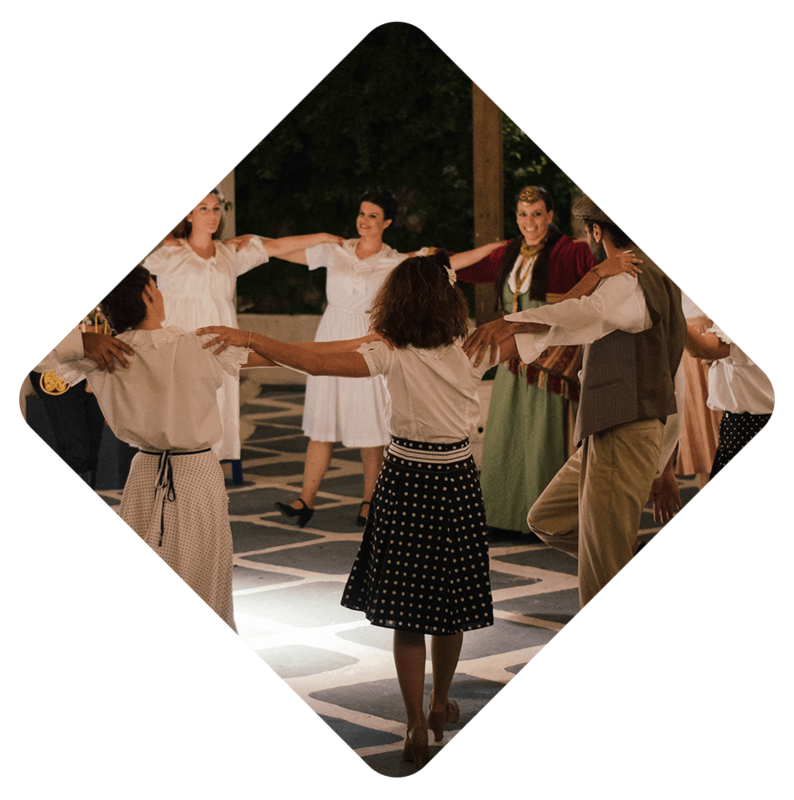 As you savor the tastes of the island, you will take an amazing journey through the best of Zorba, traditional and syrtaki dances throughout the history of Greece with the opportunity to express your joy, by dancing and wishing good luck to your new Greek family! Dance. Drink. 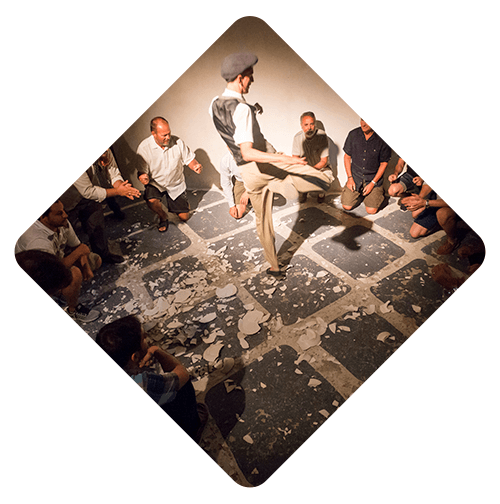 Break the monotony…by breaking plates in our special wedding tradition. 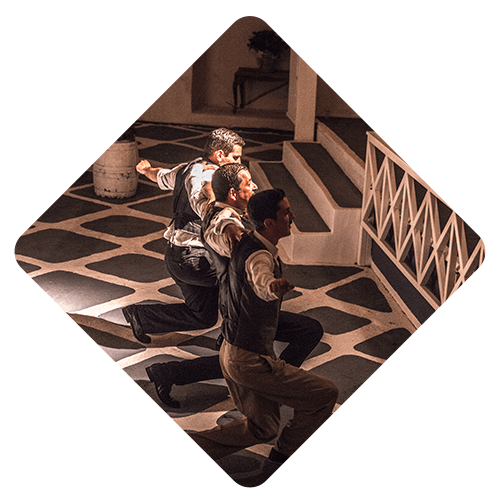 Set in the post-war years of the late 1940s, you take part, as guests of a Greek family, in their life change celebration! 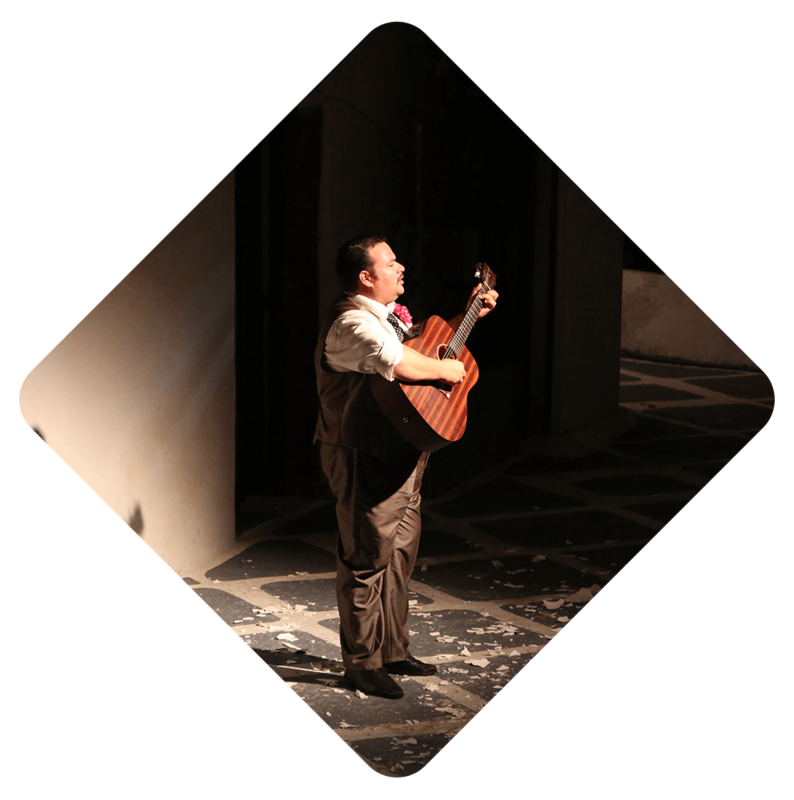 The show begins in the interior of the cava, set as the family home, where we meet the Papadopoulos. The family will host you and share their story during the wedding preparations. NOTICE: Please notice we are not a restaurant and our main attraction is the wedding celebration performance. 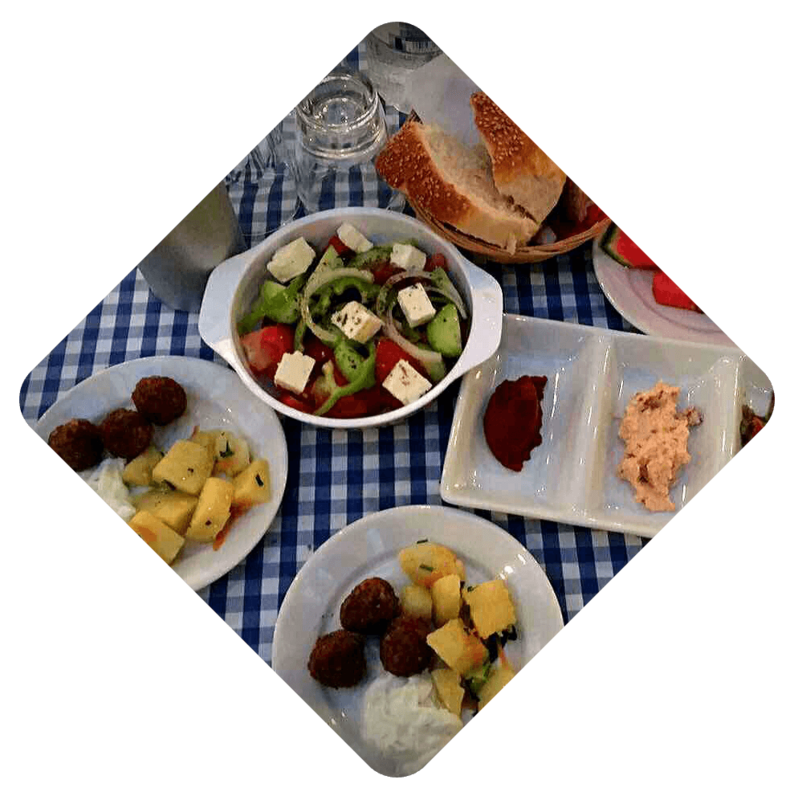 Therefore, we serve a selection of traditional Greek tapas, which is fresh, homemade and considered enough as finger food; although it cannot be considered as a dinner meal. Wine is unlimited.